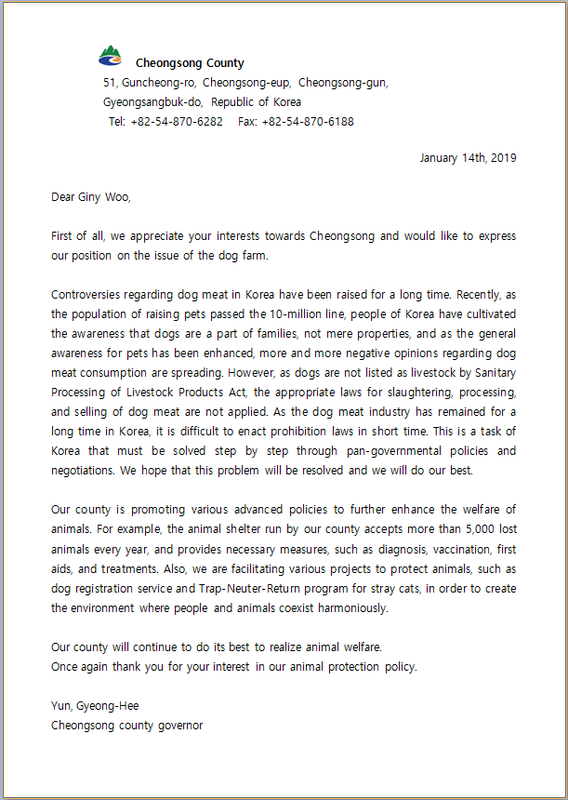 Below is Cheongsong’s response to our petition: Cheongsong, South Korea, Shut down the illegal dog meat farms, slaughterhouses and markets. 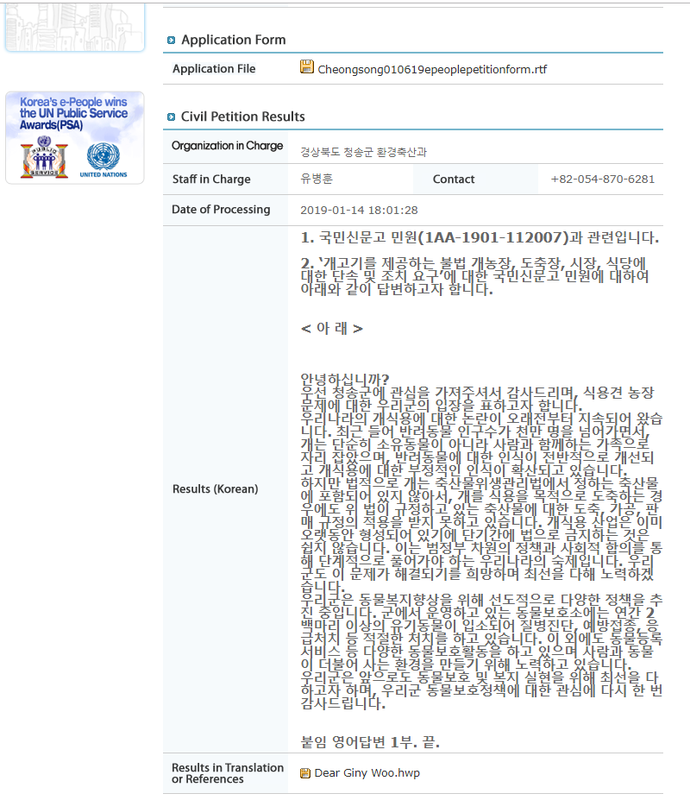 to your Office and Humanity, I and many more in the West, now view Koreans as sub humans. We intend to boycott your goods & foodstuff. There are hundreds and thousands of people like me who desperately want this horrific slaughter to end. 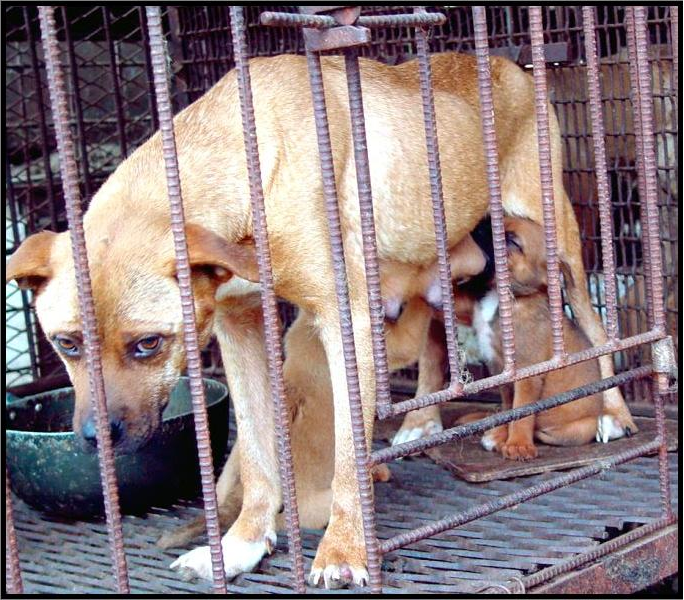 It is totally unbelievable that this can be happening in the twenty first century. I know that my whole life has changed since discovering this hideous trade and I will never rest until this has stopped.